On Wednesday 7 December Chancellor George Osborne gave evidence to the Treasury Select Committee following his pre-budget Autumn Statement. 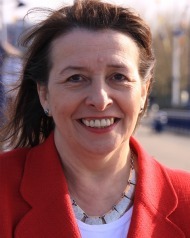 Teresa pressed the Chancellor for evidence to support the Government’s plan to weaken employment regulations, and sought an assurance from him that the Government was not considering attacks on the National Minimum Wage. She also asked the Chancellor what assurances he had sought from Richard Branson that Virgin Money, which recently bought Northern Rock, would not go offshore to avoid tax after the 3 year conditions attached to the deal expired. “We need to ask about the value of the Northern Rock sale for the taxpayer in the longer term. Given that Richard Branson’s Virgin empire moved Virgin Enterprises offshore to Geneva earlier this year to avoid tax, it is concerning that the Chancellor appears not to have sought assurances that the same thing won’t happen with Virgin Money. Teresa Pearce: Last week, we heard that it was your belief that employment regulations are a barrier to small companies employing people, and you have made the proposal that businesses that employ fewer than 10 people may be exempt from certain regulations. However, the British Chambers of Commerce surveyed 2,000 companies that employ fewer than 10 people and none said that employment regulations were a problem or a barrier to taking people on. If those 2,000 companies do not think it is a problem, why do you? Mr Osborne: I do not have that survey in front of me. Certainly, every survey I have seen of business opinion in many recent years has been that the burden of employment regulation is one of the things that makes life more difficult for those businesses and one of the reasons that deters them from hiring new people. Specifically on the issue of the proposal for compensated no-fault dismissal for firms with 10 employees or less, what we have initiated is a call for evidence. No doubt we will receive evidence—perhaps you will submit some yourself. That is the stage we are at with that proposal. It is not something we are introducing right now; it is something on which we are calling for evidence on its introduction. Teresa Pearce: But your personal view, from the evidence you have heard, is that it is a barrier. Mr Osborne: The evidence I have seen is that the cost of employment in this country is very high compared with many of our competitors outside western Europe. As a country, we have to earn our way in the world, and some of the things we thought this country could afford, this country cannot afford. I think some of the measures we have taken already—for example, extending from one year to two years the probation period for unfair dismissal claims, and introducing for the first time fees for taking a case to an employment tribunal that you only get back if you win, to deter unrealistic claims—get the balance a bit better between the rights of an employee and of a business not to be sued out of existence, and the rights, indeed, of an unemployed person to get a job. Teresa Pearce: Businesses in my area tell me that the barrier to them taking on more staff is not how easy or difficult it would be to get rid of them, but actually where their next contract is coming from. Are you not concerned that the picture that has been painted here of small businesses having a work force of unsackable bad apples is bad for business? Mr Osborne: No, that is not how I would characterise it. We have been talking for the past hour or so about trying to increase demand in the economy and trying to increase confidence. Those are very important to increasing employment. I am not saying that the only barrier to more jobs being created in Britain is employment law, but I think employment law has got too costly and burdensome and we are making sensible changes to it that have been recommended to us by business organisations and others. As I say, some we are actually doing, and some we are consulting on. This country has to understand that we have got to earn our living in the world. Businesses have to be profitable if we are to have well funded public services and jobs. Teresa Pearce: Two more questions: do you agree with the CBI’s proposal that the minimum wage for young people should be capped? They have suggested it should be frozen for the next few years. Mr Osborne: If I had wanted to make changes to the minimum wage arrangements I would have done so. Teresa Pearce: So it is possible. Mr Osborne: No, I don’t think you can read that into what I am saying. I have not made changes to the minimum wage proposals. I have absolutely no plans to do so. I assure you that I do not have sitting in my ministerial in-tray any proposal on the national minimum wage either for young people or for anyone else. Teresa Pearce: Okay. My final question was raised about Northern Rock. Northern Rock has been sold to Virgin, and Virgin Enterprises have taken their operations offshore for tax purposes. Did you seek any assurances from them during the negotiations that they will not do the same with Northern Rock? Mr Osborne: First, I do not and should not comment on the tax affairs of individual companies. Mr Osborne: Virgin Money was a perfectly proper company to buy Northern Rock. By the way, the Permanent Secretary also has to sign off on sales like that. On specific tax deals, I know they have been in the press recently, and we are investing more money in tax avoidance. We are looking at what we can do to improve the transparency of the way HMRC conducts its business with large companies in this country, but we want large companies in this country creating jobs and paying taxes. 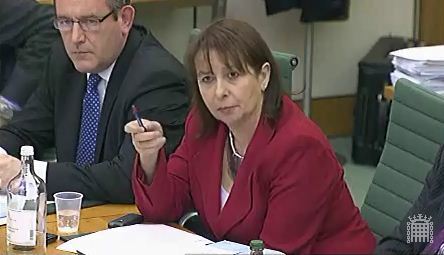 This is a point raised by the Public Accounts Committee. We all have to think very carefully before we get into people like me answering questions on specific tax arrangements for companies. It is not that far a slope before you start saying, “Let me have a look at Mr Hosie’s company” or “Let me have a look at Mr Garnier’s company or Lord Thurso’s estate up in Scotland.” We would be taking a very dangerous step. Teresa Pearce: I think you misunderstand me, Chancellor. I am not asking you about Virgin Enterprises going offshore for tax purposes. I am asking you whether any assurances were sought on the sale of Northern Rock. Was there any discussion at all? Mr Osborne: We have made public the details of our agreement with Northern Rock. It is there for all to see. Both I and the Permanent Secretary are very happy to be held accountable for that. Sir Nicholas Macpherson: Just to add to that, Virgin Money has made it clear that the headquarters are going to be inNewcastle, not inLiechtenstein, so that is a good start. Secondly, the National Audit Office will be all over this deal. I am very happy in my role as accounting officer to be held to account for that. Chair: Was that actually a no, Chancellor? No, there are no assurances? Mr Osborne: The arrangements are all there in the documents. Chair: If they are not in the documents, there are no assurances? Mr Osborne: Sir Nicholas has talked about the decision by Virgin Money, which we were aware of in advance of the sale, to locate its headquarters in Newcastle. * Please note: neither witnesses nor Members have had the opportunity to correct the record. The transcript is not yet an approved formal record of these proceedings. This entry was posted in House of Commons, Select Committees. Bookmark the permalink.